Companies and individuals are using Alzheimer's research to mislead people; and, to “scare” them into buying products that purportedly prevent Alzheimer’s and dementia. As we are rapidly approaching Halloween, I thought this article would be appropriate to write. Remember some years when cancer was the bogeyman? 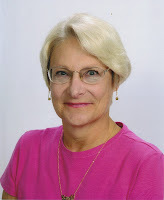 Carole Larkin MA, CMC, CAEd, DCP, QDCS, EICS is an expert in Alzheimer’s and related Dementia care. She is a Certified Geriatric Care Manager who specializes in helping families with Alzheimer’s and related dementia issues. Carole can consults with families via telephone nationwide on problems related to the dementia. Her company, ThirdAge Services LLC, is located in Dallas, TX. As we know, great strides have been made in the treatment of cancers, so apparently Alzheimer’s and other dementias have risen to take over as the new bogeyman. Since these diseases currently have no cure or treatment that stops the inevitable descent into and through the disease, they raise fear in our hearts and minds. Rightfully so, hence part of the stigma of the diseases. Because there is now more emphasis on awareness of Alzheimer’s and emphasis on reducing the stigma, I am becoming increasingly perturbed at those individuals and businesses who are using the fear of Alzheimer’s as a marketing tool to sell their products. It is a way to promote the stigma of the disease rather than a way to promote acceptance of the disease as a current fact of life. The study they refer to is “Hearing Loss and Cognitive Decline” published on February 25, 2013 in the Journal of the American Medical Association Internal Medicine edition. The link to the abstract on the study is http://www.ncbi.nlm.nih.gov/pubmed/23337978. In other words, more investigation needs to be done to confirm whether hearing aids help. Yet, this company, and perhaps others, is using this research to “scare” people into buying hearing aids to prevent Alzheimer’s and other dementias. I listened carefully to the “seminar” and during it the presenters used the word “correlation” to describe the connection between developing Alzheimer’s and hearing loss. My reading of the conclusions of the study tells me that the “correlation” has yet to be established. Nevertheless, they continued on with, of course, their pitch for buying and wearing hearing aids from them. We do know that hearing loss (as well as poor vision and other sensory deficits) exacerbate the symptoms of dementia by making connection to and interpretation of the person’s environment more difficult. But to claim that hearing loss causes dementia? I think that claim pushes the envelope too far. I resent the use of fear of Alzheimer’s and related diseases to sell “product”. I think that this approach to selling further stigmatizes the diseases. Still another example comes in the area of neutraceuticals. Neutraceuticals are defined as: foods or parts of foods that provide medical or health benefits including the prevention and treatment of disease. This definition is from Dr. Stephen DeFelice, who invented the word. I have seen numerous claims from sellers of neutraceuticals that their product can prevent and/or cure Alzheimer’s. As we know, no one has yet determined scientifically exactly what Alzheimer’s is, or what causes it to develop in a person, so wouldn’t it stand to reason that it’s not yet possible prevent it or cure it? As a secondary question, because neutraceuticals are not currently regulated by the Food and Drug Administration, how does one confirm the effectiveness and purity of the product? Research presented in the Journal BMC Medicine on October 11, 2013 found that Herbal products often contain ingredients not listed on the labels and also have fillers and contaminates. They tested 12 different herbal products and found only 2 of them actually contained exactly what was on the ingredient list. The point of this discussion of neutraceuticals is that here is still another example of using Alzheimer’s and related dementias as the bogeyman to scare people into buying their products. Such inference can’t help but reinforce the stigma of the diseases. I think people need to be aware that these companies overtly or subliminally are trying to manipulate them into buying their products based on their fear of Alzheimer’s and dementia in general. I find this tactic ethically questionable at the least.